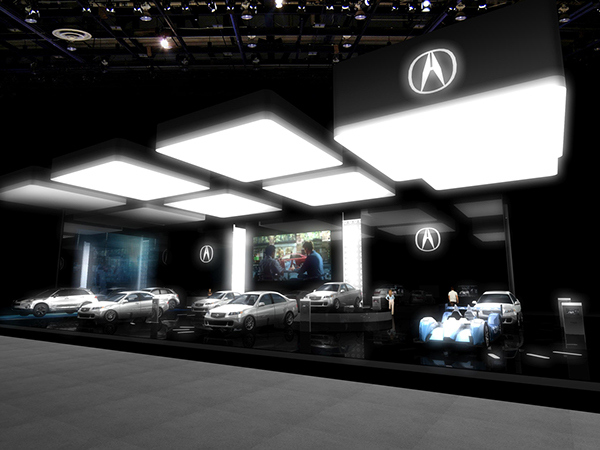 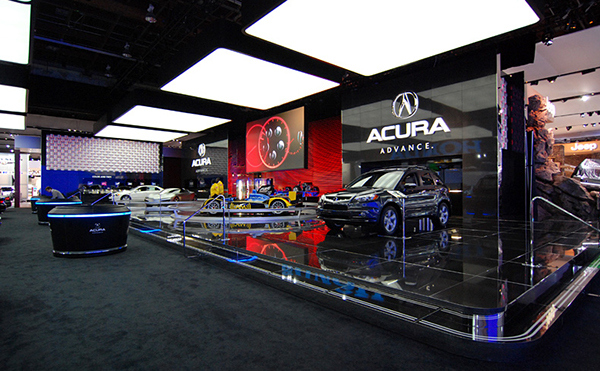 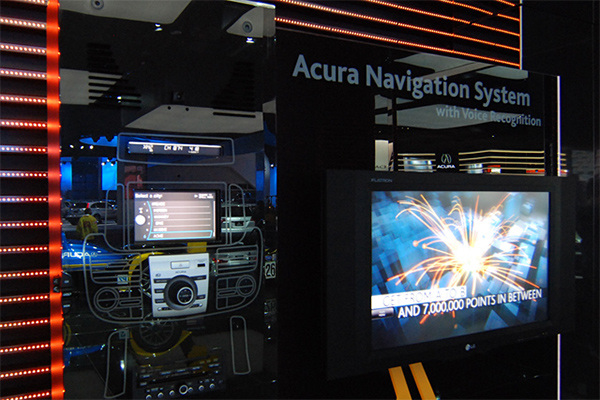 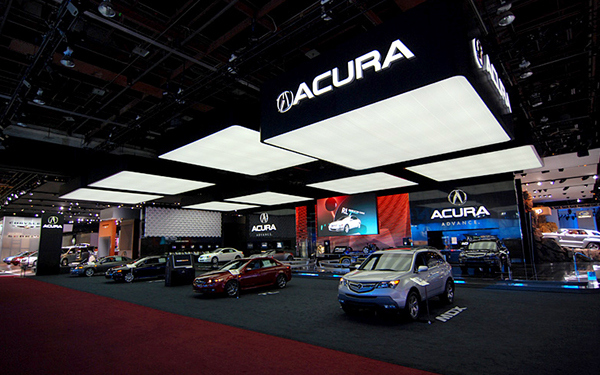 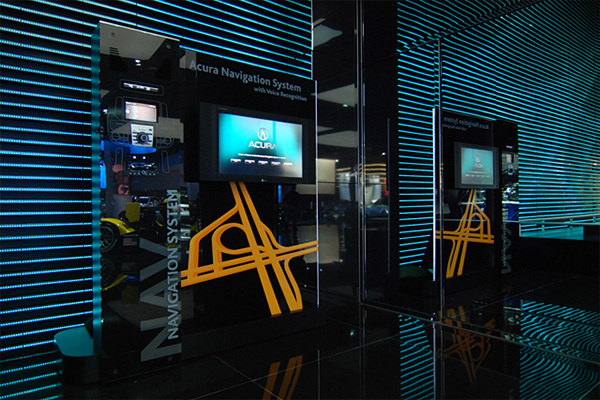 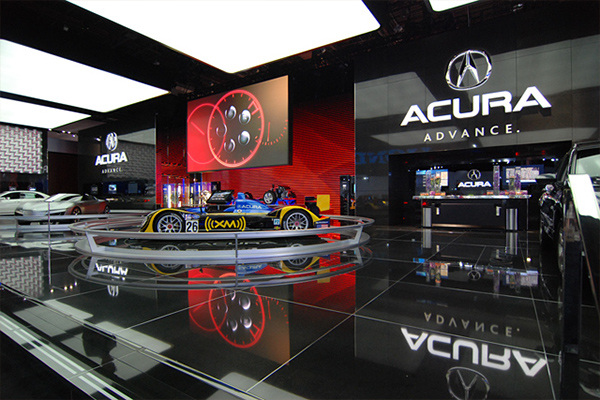 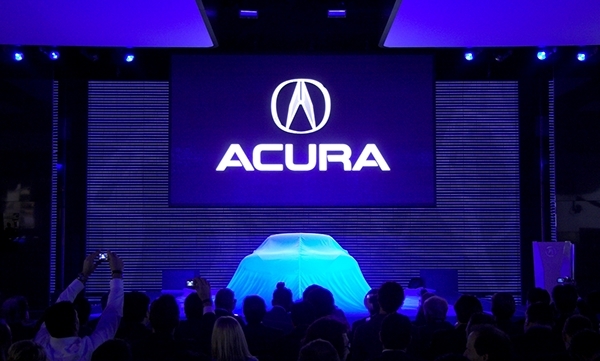 Inspired by the sleek black glass interface of modern day smart phones, the Acura 2007 Detroit Autoshow exhibit with its mirrored black granite surfaces and massive led screen has a technology luxury ambience. 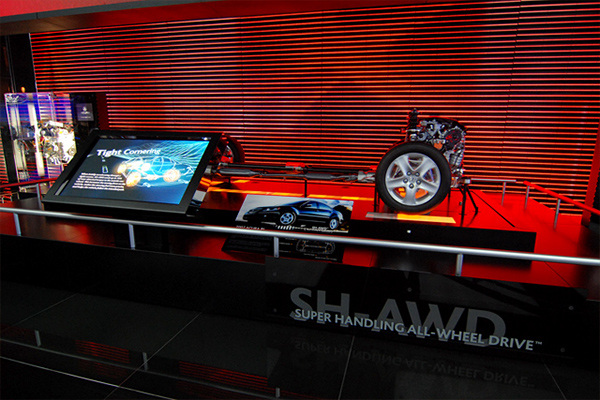 Black granite surfaces with chrome accents. 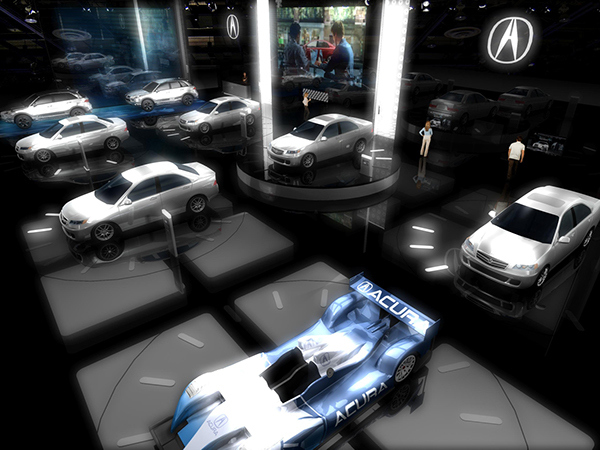 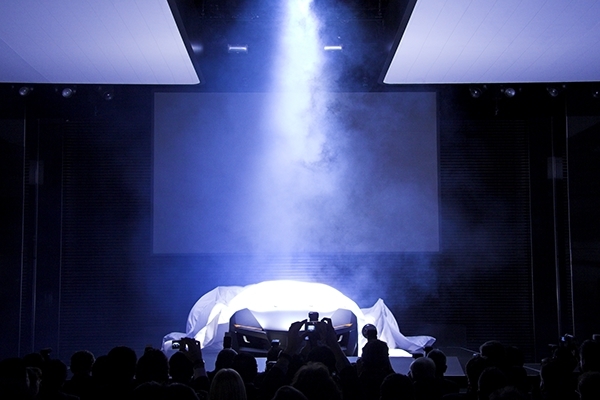 Acura Twin Turbo Display Interactive. 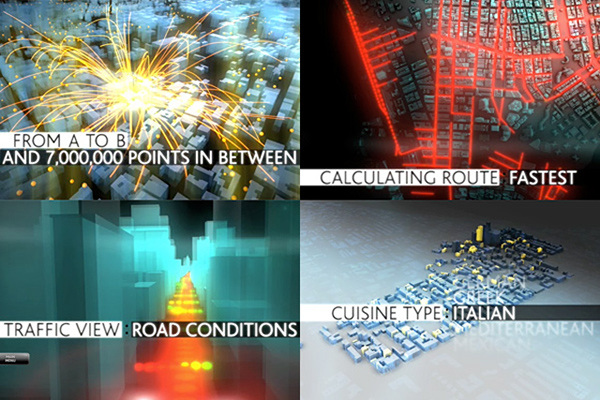 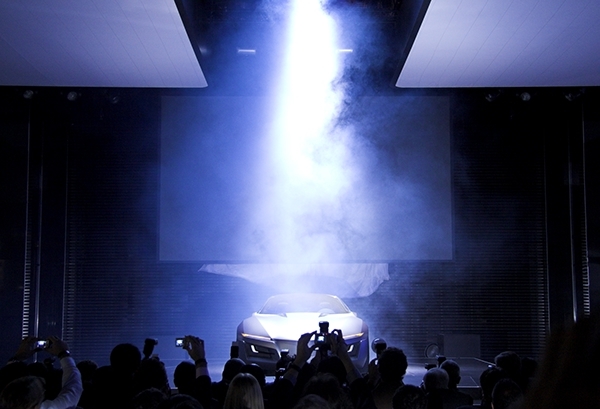 A gas pedal allows users to dynamically see the twin turbo in action. 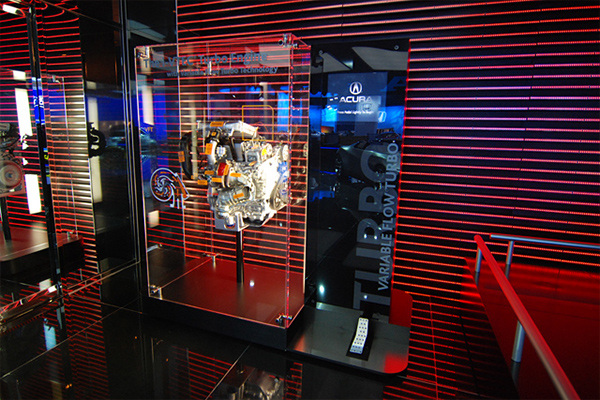 Press the pedal to see the two turbos turn on and off based on engine rpm. 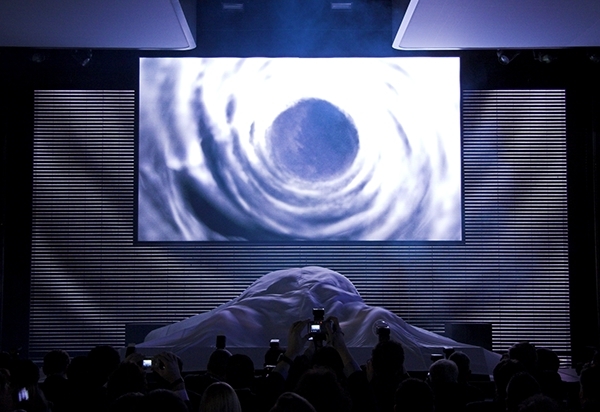 A malestrom appears on screen and wind generators on stage billow the silk cover sheet with wind currents.